If you're an editor or proofreader looking for help with marketing and training, feel free to join my Facebook group: Louise Harnby – Training for Editors & Proofreaders. Once in a while, I post updates about new content available on my courses but my primary purpose with the group is to answer questions about marketing and training, and to help people grow their editorial businesses. Whether you're just beginning your editing journey or are an experienced hand, you're welcome. No question is too basic. Perhaps you need guidance on which training course would suit you, or how to manage social media marketing. Maybe you're thinking of starting a blog, or need some guidance about branding. Or perhaps you just want a safe space in which to experiment with new types of business promotion before you go public. Each week I host a weekly Marketing Carnival – a thread in which any member can add a link to their own marketing efforts (or to a colleague’s if they think it’s worth sharing). Members link to testimonials, blog posts, vlogs, award nominations, resources, ideas they've had to make their marketing easier, and anything else they're proud of having achieved that week. It's a great way to self-promote without shame, and encourages fellow members to share useful posts on their preferred social media platforms! Join the group and ask your question! 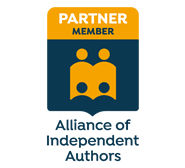 In addition to the free content on my blog, and the support via my Facebook group, I offer several paid-for resources to help editors and proofreaders craft their own online fingerprint and increase their visibility.